Why Do Honey Bees Need Water? Honey bees like to keep their hive at a constant temperature. They will go to great lengths to keep it at a temperature ideal for raising brood. In the winter this means forming a cluster of bees and flexing muscles to generate heat. In the summer the honey bees will gather water to evaporate and cool the hive. 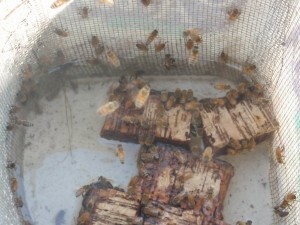 Where Will Honey Bees Gather Water From? The ideal site for placing a bee hive has morning sun, wind protection, afternoon shade and access to water. The banks of a creek, pond or lake would be an ideal water source for honey bees. If you are like me and you have your hives in your backyard, your neighbor’s bird bath may be closer than the nearest stream. Honey bees will only travel as far as have to when foraging. This will result in the honey bees developing a preference for the neighbor’s bird bath. Did I mention that a strong colony of bees could have 40,000 individual bees? It only takes a small portion of these to become routine visitors for a non beekeeper to get nervous. The biggest concern for the beekeeper when providing supplemental water for honey bees is drowning. In order to prevent drowning, a watering bucket should have floats that the honey bees can land on. I have found that cork works well as a landing spot for honey bees. Sticks can be used as well. Hardware cloth can also be used to line the sides of a watering bucket. Any bees that accidentally end up in the water can crawl out as long as they can make it to the sides of the bucket. Lemon grass oil attracts honey bees. 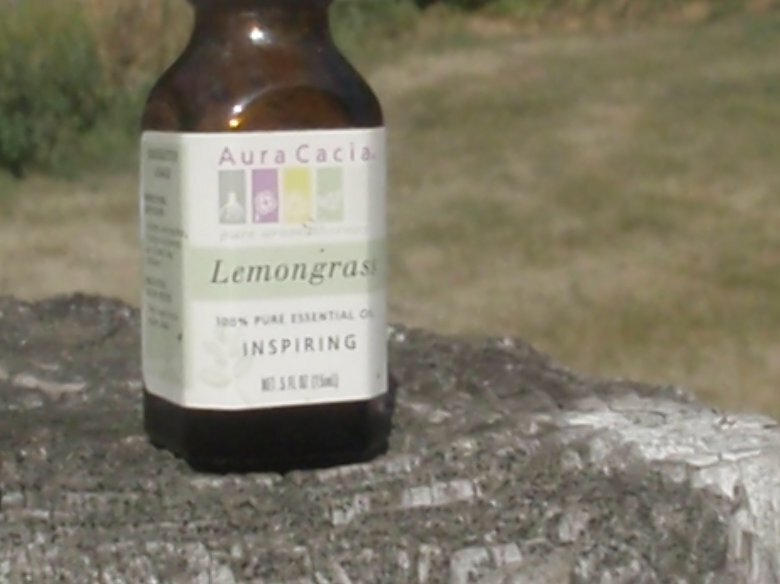 If you want to make your water supply preferable to the neighbor’s bird bath, just add about ten drops of lemon grass oil to the water. The sense of smell is very important to honey bees and the lemon grass oil mimics the attractant pheromone that honey bees use to attract a swarm to a new home. Have you ever had to water your bees?